Most pool stains occur when excess organic and/or metallic compounds and improperly balanced pool water meet. Incorrect sanitizer, pH and alkalinity levels can set the stage for stain-causing debris and metals to wreak havoc on your pool surface. Decaying organic debris such as leaves, berries and acorns can leave behind stains on the pool surface if not removed promptly. In some regions, stains left by oak leaves are especially problematic. Organic debris typically leaves brown stains caused by naturally occurring tannins. Algae can tint the pool water (usually green) and also speckle the surface. The three most common algae types are described by their respective colors – green, black or yellow (also called mustard). Metals, such as iron and copper, are found naturally in water and their presence can be compounded by leaching from other sources such as residential plumbing, fertilizers, and pesticides. Copper also comes from pool heaters which often have copper heat exchangers, and from pool algaecides. The issue with metals is that water evaporates but metal does not, so the concentration of metals builds over time. When the saturation point is reached, the pool water is not able to contain additional metal. 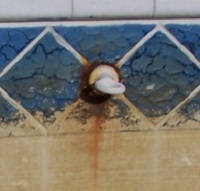 This is when metals begin to cleave to the pool surface and form stains. Sequestering agents can help to keep metals in suspension to prevent staining but are not sufficient in some cases. Stain identification can be tricky. No doubt, you can find a lot of pictures online and try to compare your pool stain to others, but different compounds can cause similar looking stains. So it is best not to guess. Just to give you a primer, we’ll run down a list of different stains’ characteristics here and then go on to actual testing for stains. Organics – will leave an impression in the shape of the offending debris, typically brown in color. 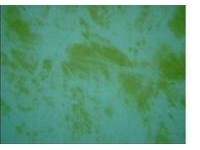 Green Algae – will tint pool water green and also speckle the pool surface. Mustard (Yellow) Algae – So-named for its brown/yellow color, this algae has a wispy texture and grows in shady areas. 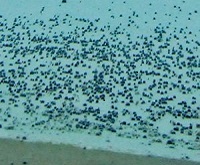 Black Algae – forms black speckles and clusters that will actually grow roots into the pool surface. 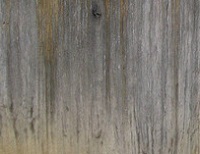 Iron – forms stains ranging from yellow to rust to dark brown. Copper – can tint pool water blue at first before stains form on the surface which are commonly blue-green but can also be gray, black, brown. Copper can stain purple as well when the cyanuric acid level is high. Manganese – found in well water in some regions, this metal can cause a purple tint to pool water and brown/black or purple stains on surface. In most cases, the best way to correctly identify a pool stain is to use a stain id kit. For iron, you can try a simple test first with vitamin C. Hold a vitamin C tablet against the stained area for about 30 seconds and see if the stain gets lighter or disappears. If it does, you have iron stains and can use ascorbic acid to treat. If it doesn’t, you have at least ruled out iron. Similarly, if you suspect a stain from leaves or other decomposed organic debris, you can hold a trichlor tablet on the stain to see if it lightens. Chlorine will lighten organic stains but will not affect metal stains. Shocking the pool to raise free chlorine is the way to get rid of those brown tannin stains. For other stains, we suggest the Jack’s Magic Stain ID kit to be sure you treat for the correct problem. Trying to guess and potentially treating for the wrong cause will cost you time and money and could create more problems. The Jack’s Magic kit allows you to easily perform a series of topical tests by holding different stain solutions over the stain area. Each test takes about one minute to complete. Most of your time will be in preparation since your pool water first needs to be balanced to meet the proper levels for stain testing and treatment. Once you see which stain solution worked best, you can follow up with the specific recommended treatment. Remember, it might take repeated treatments in some cases but there is hope for restoring your pool. What if you are developing small yellow stains that will not respond to shocking and will not respond to vit c testing? Use the Jack’s Magic Stain ID Kit, it should identify the make up the stain, and provide you a suggestion on the best way to remove it. LD, have you used a stain ID kit to confirm these stains are in fact iron? If not, I suggest you do so, this will confirm your suspicions of iron stains or prevent you from throwing more metal free at a non-metal stain. I’m not sure how you could get iron stains without there being metal present in the water. What would you recommend to remove a few stains from coins (pennies, nickles, dimes and quarters) left in the pool? 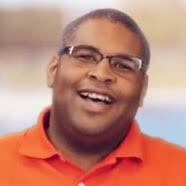 My first thoughts, stop using your pool as a wishing well. Just kidding. I suggest using Natural Chemistry’s MetalFree with StainFree, it is ideal for copper and iron stains. I am presuming that is what you will be primarily dealing with. If stains do not budge, try a stain ID kit. What is causing this, and can it be removed? I would recommend first, check out what the stain is like the article suggests. You need to figure out if the stain is algae or copper. If it is copper then, then you probably need a new heat exchanger (or at the very least, have a pro take a look at it) and to use some copper remover for the stains. The article mentions the Stain ID Test Kit, it should give you an idea on how to attack the stain. Give it a try. It could be the beginnings of an algae bloom or copper stains. But we cover how to test for either in the article. For the algae try shock, algaecide, and a sturdy brush.